Educare Kansas City (Educare KC) is part of a national network that operates in 22 Educare schools. This network of schools collectively aims to prevent the persistent achievement gap among low-income children. Each Educare school serves as an example of high quality early education and family support. Educare KC is managed by Project Eagle and partners with researchers at Juniper Gardens Children’s Project for ongoing evaluation. Beginning in 2010 when Educare KC opened, program outcomes along with child and family outcomes have been evaluated to document gains, highlight areas of need, and provide data to Educare KC administrative and teaching staff that is used to inform their efforts to provide quality early learning experiences for children and families. Program assessments and observations focus on measuring skills that are necessary in school such as social/emotional and problem-solving skills, language, early literacy, and early numeracy and documenting the quality of the program and individual classrooms. Educare KC emphasizes parent involvement and encourages parents to be actively engaged in their children’s education. Educare teachers and family support staff partner with parents to set and make progress on goals related to the child’s learning and the family’s well-being. Parents have a variety of opportunities throughout the school year to engage in classroom and program activities. They also have the opportunity to review evaluation outcomes about their child’s progress in Educare and Project Eagle. Bridging the Word Gap Acceleration Project: Educare Talks! Recognizing that language skills are a necessary part of academic success, Educare KC and Juniper Gardens Children’s Project were funded by the Buffett Early Childhood Fund, to test whether implementing an evidence-based language intervention would increase the language learning opportunities of infants and young children to bridge the word gap. This randomized study was implemented in classrooms in Educare KC and 2 other Educare schools in Oklahoma and Illinois. The project was successful in demonstrating the feasibility of increasing the language learning opportunities provided to children in classrooms and in homes. 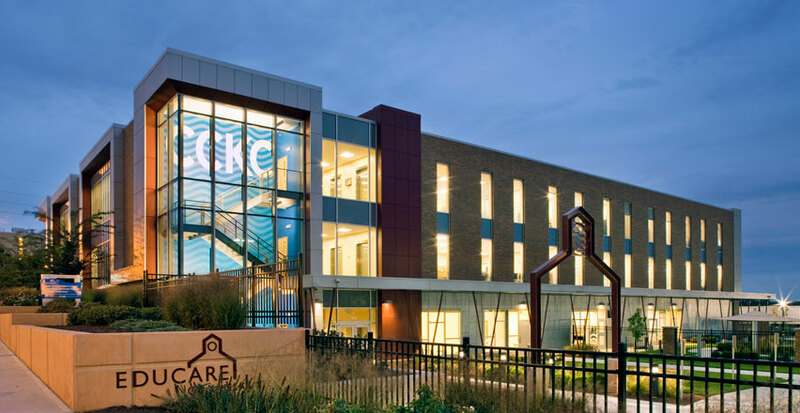 This project exemplifies the culture of continuous improvement emphasized at Educare KC.